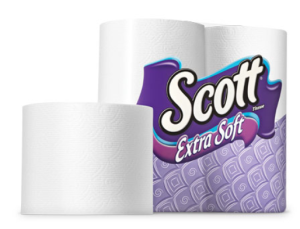 Get a free roll of Scott Extra-soft toilet Paper. Sign up to receive the free offer. I. would. like. to. have. if. possible. a. roll. of. toilet. paper. and. any. or. all. your. additional. products. as. well. thank. u!